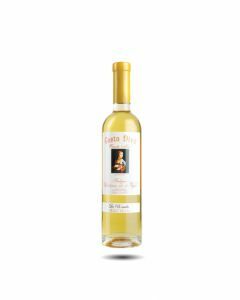 Catalan Eagle white is a blend of 60% Garnacha Blanca, 25% Viognier and 15% Roussanne grapes, the two latter grape varieties originally coming from the Rhone. 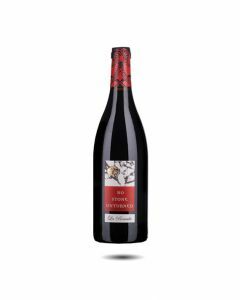 Catalan Eagle takes its name from the bird that soars above the nature reserve close to the 26 hectare organic vineyard in Terra Alta which is near Tarragona in southern Catalonia. This wine has an expressive nose of peaches, pears and grapefruit. On the palate there is minerality, fruit and some warm, spicy notes. Round and full on the palate this is an aromatic wine with good acidity and a rich texture. Enjoy with seafood and paella. 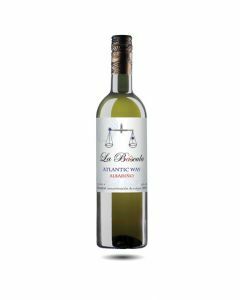 Those of you who have already tasted the fresh, modern wines from La Bascula (The Charge, Catalan Eagle and No Stone Unturned) made by South African winemaker Bruce Jack and Master of Wine Ed Adams, will not be surprised to learn that the team is onto another winner with the Atlantic Way Albariño. Fresh, lively and tangy, you can practically feel the Atlantic waves pounding the Galician coast. There is lots of flavour here too with notes of fennel, ferns and fresh herbs, salty acidity and lots of zippy fruit on the palate leading to a long, dry finish. Albariño is having a huge success throughout the wine world at the moment  think of a more southern Muscadet with a Spanish twist. This excellent version has already won lots of admirers. Serve as an aperitif or with fresh shellfish or salads  presented in a screw-cap this is a fun wine for no-fuss entertaining. Old Vine Garnacha/Carinena Terra Alta D.O. Made from a blend of 62% Garnacha, 23% Carinena and 15% mix of Cabernet Sauvignon and Syrah, this wine comes from Pepe Fuster’s stone covered 26 hectare vineyard in Terra Alta in Catalonia, north-eastern Spain. 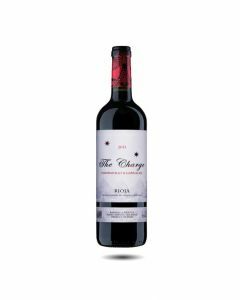 The Garnacha vines are nearly 50 years old and this age gives the wine great concentration and intensity with dark, spicy, blackberry fruit that has been seasoned and enhanced by 10 months new French oak barrels. No Stone Unturned is a big, serious wine that is ripe and juicy enough to be enjoyed now but will also last a good 8-10 years in bottle. Serve with cheeses, game and roast meats. English Master of Wine Ed Adams and South African winemaker Bruce Jack share a love of Spain and make modern, pure wines respecting the indigenous grape varieties. Made from a blend of 60% Garnacha, 25% Carinena and 15% mix of Cabernet Sauvignon and Syrah, this wine comes a stone-covered 26 hectare vineyard in Terra Alta in Catalonia. The Garnacha vines are nearly 50 years old and this age gives the wine great concentration and intensity with dark, spicy, blackberry fruit that has been seasoned and enhanced by 10 months new French oak barrels. No Stone Unturned is a big, rich wine that is ripe and juicy enough to be enjoyed now but will also last a good 8-10 years in bottle. Serve with cheeses, game and roast meats.